We are committed to providing the highest level of legal representation and treating our clients in the same manner that we would want to be treated if it was our own case. For privacy purposes the full name of each person listed below has not been disclosed. The ethic rules regulating attorneys require us to state that you should not create any unjustified expectations based upon the information listed below. Upon request we can provide you with the name of numerous past clients in order to discuss their experience of working with our firm. Right from the get go, I knew I made the right choice by choosing the Law Firm of Dell & Schaefer! I submitted a form online describing my injury on a Saturday evening. I was not expecting an answer until Monday if even then. Mr Jay Kanter Esquire an attorney with the firm called me the very next day which was Sunday. I said to myself this is the kind of attorney I want to handle my case. I don’t know of too many attorneys who would call someone back on a Sunday. We talked for awhile and he said he could help me… He treated me with tremendous respect and expressed deep concern for what I was going through. From the beginning to the end which ended in my favor, Mr Kanter was everything one would come to expect from a lawyer. He has integrity, full knowledge of the law and made my journey so easy through the whole process. There is nothing more one could possibly ask for from an attorney. His empathy, respect and willing to go that extra mile is what took me to the finish line a winner. I have nothing but tremendous respect for the office staff employed at the firm of Dell & Schaefer. My calls were returned promptly and I was treated like I was important. Mr Kanter’s assistant Renee was part of the whole process. All the pressure was taken off of me and everything was handled quickly and correctly. Both Mr. Kanter and Renee took the time to answer all my questions and concerns. I thank them both from the bottom of my heart. I would recommend the Law Firm of Dell & Schaefer to anyone who needed an attorney who cares and yes most of all, who wins!!! I would even permit Mr. Kanter to give my name and phone number as a professional reference to anyone who requires more than I already stated above!!! Dell & Schaefer has made my life much more restful in so many ways. They retrieved the appropriate paperwork from Medical Facilities and made all of the calls and faxes as to allow me to just rest. I know what it is like going through a rough time medically and need to handle all of the legalities that come with it. You can certainly count on this Law Firm, I am speaking from a standpoint from completely healthy to absolutely so sick I could not work at all. It can be devastating especially to people who have always been healthy, lived a great lifestyle and worked a fabulous position with a great company. Simply put things can happen that are frustratingly out of your control and when you need help then don’t hesitate to hire this law firm, they helped me greatly and they can help you too! I would recommend Dell & Schaefer strongly and the main reason is the client service, the hard working staff of the Attorney and those that work together on a case like mine and communicate how the process works to me every step of the way! I could not possibly recommend a better way to improve Dell & Schaefer as their diligent and client oriented which is not always the case thank you D&S! Everyone was very professional and took all my needs into consideration. They did all they could to get me the most of my claim. Jason was always there for me and gave me all the attention to the case that was necessary to get me the most he could. Yes I would because they were professional and thorough. They are always on the clients side and did everything to get the case finished with excellent results. I don’t think I could improve on what Jason did for me. Diana was also there for me and answered all my questions in a timely manner. Jason Was very helpful, from start to finish with every step of the process. He was very knowledgeable in answering my questions and capable in addressing my concerns and issues. He helped me get the best medical treatment and a favorable legal outcome where I was able to receive a significant amount of money for the pain and suffering from my injuries. I always knew that my case was being handled professionally, and I am glad I chose Jason as my attorney. I have recommended Jason to more than one person already. Every case that I have referred to Dell & Schaefer has had a positive outcome. I appreciate that Jason handled my case well from start to finish, over a 5 year time frame. I feel he is very dependable. Attorney Dennis Schaefer and his secretary Rene – they are both wonderful and good communicators – they have a full service firm – they are amazing people. I wouldn’t recommend them if they weren’t. Daniel Villalobos was helpful, articulate and proactive from the first phone call I made to your firm. Never having heard of a demand letter for a personal injury experience, the entire process was a valuable learning experience for me. I appreciated the work of Daniel to pursue my best interests. It has been an absolute pleasure working with Attorneys Dell & Schaefer. Attorney Jay Kanter was very professional and always provided me all the information necessary in a a very timely manner. His assistant, Renee was also very attentive and responded to my emails right away. Both attorneys were caring, understanding and professional. When communicating with them, you felt you had their undivided attention. They both made me feel like I was their only client. They were up front and honest and gave good advice. You fully understood the direction they wanted to take and why. They are truly the best. Danielle rocks! Why would you recommend D&S: I felt they were the best of the best. What could we do to improve: Absolutely Nothing. Working with Dell & Schaefer has been a pleasure. Open communication and open door policy with both Dennis and Renee. The entire firm made this unfortunate circumstance very smooth. My only concentration was to get well! Very professional and knowledgeable! Dennis has put himself first in being aggressive in fighting on my behalf. The team representing my daughter was pleasant, compasionate and assuring. They brought a sense of security and certainity to an overwhelming and sensitive situation. The cordial and prompt response and availability assured us as to how important our case and we were to the firm. It’s simple. If one expects professional and decisive action taken on their behalf, they should consider this team on their side. I think you have pretty much got things covered. My personal experience with Dell & Schaefer’s attorney Jason Macri and legal assistant Diana Mastrapa was a great one. If I ever have any problems, I know who to contact. I’m very satisfied with the outcome of my case. They made it easy for me to understand the process. When I was depressed, Jason knew what to say. Long story short: Love love Jason & Diana Mastrapa. Thank you Dell & Schaefer. This firm is amazing. They make you feel comfortable. It was as if I knew them from a child. They kept my best interest at heart. They were on my side from the very start of my case. Excellent service. Excellent customer care. Jason was brilliant during negotiations, and more. Sonia, since the beginning, was a pleasure to work with – always communicative with prompt service – friendly, pleasant, charming. A top quality person. I already have – twice – with the reasons above as a foundation! How do you improve perfection in all stages? It was a pleasure having Daniel work on my case. I will recommend him anytime. I would like to thank you and your staff at the Law Offices of Dell & Schaefer for all of the assistance I received, in what turned out to be a most traumatic experience for me. At a time when I was not able to deal with issues on a personal level, you and your staff were there to handle things. I was promptly referred to excellent medical care, and was able to focus on treatment, while you attended to the details. All of my questions were patiently answered, no matter how insignificant or redundant. You came highly recommended. Everyone I had the opportunity to deal with was professional, courteous and went above and beyond the call of duty. I would most highly recommend your firm. Very Good Experience! Case resolved in less than one year… Excellent Work! Very professional organization case was well handled in every aspect! We don’t see much room for improvement. GREAT Job Folks! It was a great experience working with Daniel Villalobos. He always answered all my questions and kept me informed throughout the whole process. 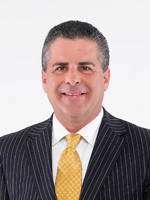 Honest, dependable, hard working attorney who has fought two personal injury cases for me. I will always recommend Daniel Villalobos to friends and family. Dan was very attentive and able to respond to all questions in a timely manner. Dan was able to effectively communicate in Spanish and was very helpful in explaining the process. Yes, we would recommend the services provided and specifically Daniel Villalobos. It was a pleasure working with Mr. Villalobos. He was honest, effective and addressed all my questions and concerns in a timely and appropriate manner. I was blessed to have had an awesome attorney like Mr. Villalobos. My experience with working with the Dell & Schaefer firm was very satisfying. Fortunately for me, this firm was willing to take my case. Even though my case was a small one, it was handled with as much proficiency as a larger one. From the very beginning, there was a genuine interest in the case, and I was immediately put at ease. Thank you. My case was handled quickly and efficiently. I was always kept informed with every step of the process. At no time, was I given any unreasonable expectations. In this instance, I cannot think of anything that could have been done differently. It was a smooth and pleasant experience working with Daniel. I had no hope of getting funds from my second accident. He was able to get my funds. Mr. Dell and his assisant were awesome. They kept us informed on what was going on with the case and that ment a lot. We trusted his judgement on helping my kids get the best settlement. The Hinnant family is very thankful to all that worked on the case. Attorney Dell has provided, work of integrity and it has been a pleasure working with him. We were very delighted to have one on one communication with attorney as well as being provided with the knowledge and details in the case. Very professional and proficient. Every was precise and accurately done with Dell & Schaefer. The Attorneys at Dell & Schaefer get the job done. They are very knowledgable and always are in contact with you about any updates or details so you’re never left in out in the open. You guys did great and I don’t see anything that needs improvement from my experience. It was great… Jason Macri did a great job and went beyond his job to help me. The experience was great, very professional. Everything went very well i appreciate everything that was done thank you. My experience was very professional and straight to the point. Never once had a delay in returning phone calls. The firm was very concerned, always kept me updated. It was an OUTSTANDING EXPERIENCE. The Law Office Means BUSINESS. Very Professional with handling my case. I know the individual will be in good hands. Keep doing what you are doing for all individuals and families all over the nation. After being in an accident and not knowing where to go or what to do Dennis and Rene set my mind at ease. What I thought was a bruised shoulder turned out to more serious. With their assistance, I got the help I needed. They are a great team. Dell & Schaefer helped me during my injury and gave me peace of mind. They also enabled me to receive a settlement far greater than I would have received without their assistance. They believe in helping their clients at difficult times when they are injured. Mr. Dell answered all of my questions and gave me good advice. Sonia, the paralegal, assigned to my case was always very attentive and sweet. I would recommend Dell & Schaefer because they treated me very well and did a great job. Working with Dell & Schaefer was great. They were easy to get a hold of. They always got back with me very fast. They always answered my questions and I always knew exactly what was going on. I would definitely recommend Dell & Schaefer. In my case I don’t see any areas that need improvement.